This edifice with 176 stone pillars has been identified as an Uposathagara or chapter house. 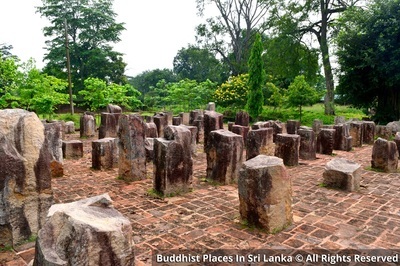 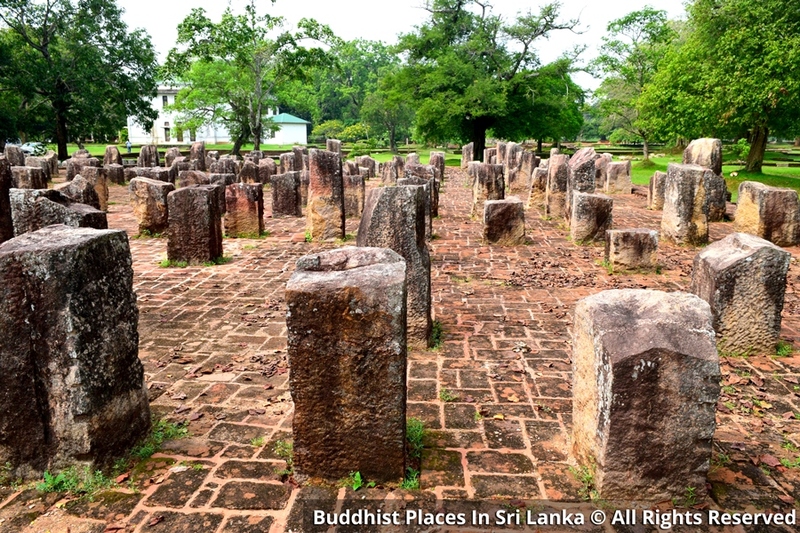 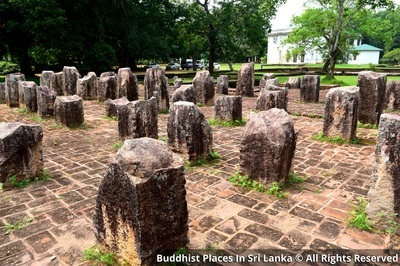 An inscription at Abhayagiriya monastery states that king Mahinda the 5th (956 - 972AD) renovated a chapter house called "Diyasen" at Jethavana Monastery, which indicates that there had been an chapter house earlier. The chapter house is an essential feature in a monastery, was used by the resident monks for ecclesiastical purposes. 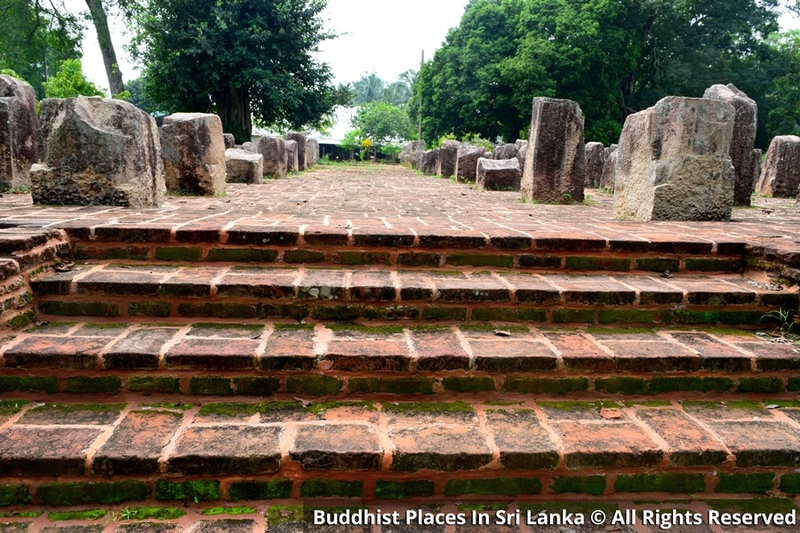 The present edifice had several storeis and the upper floors may have been used for residential purposes as well. 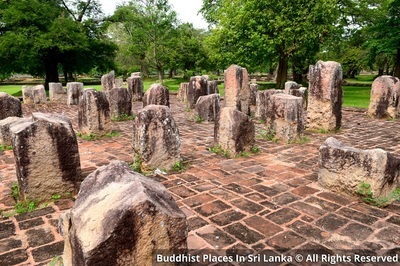 The ground plan of this Chapter House is very much similar to Rathnaprasadhaya, the Chapter House at Abhayagiriya Monastery.